It's 03:01 in Hilliard, USA right now. 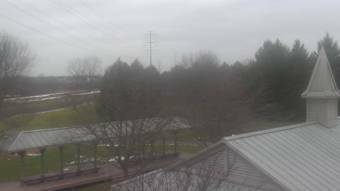 Homestead Metro Park A webcam in Hilliard, Ohio - camera location: Homestead Metro Park. Powell, Ohio: Columbus Zoo and Aquarium, 9.6 miles away. Columbus, Ohio: Nationwide Insurance, 9.7 miles away. Columbus, Ohio: WBNS Radar, 9.7 miles away. Columbus, Ohio: Capitol Square, 9.7 miles away. Milford Center, Ohio: Fairbanks Local School Dist, 15.3 miles away. London, Ohio: Madison County Airport, 18.4 miles away. Lancaster, Ohio: Fairfield Christian Academy, 37 miles away. Marion, Ohio: Marion Municipal Airport, 38.4 miles away.